Autumn lovers it’s time to rejoice! I’m an Autumn myself so I have an affinity to those beautiful fall colors. Whether you’re a Twilight, a Copper, or a Calm Autumn. All of these colors I’m going to tell you about will look amazing and compliment you. Pantone fall fashion 2017 colors are very popular in stores right now. I’m going to tell you which colors are best to compliment you. Grenadine is the red for all my autumn ladies. It’s a beautiful tomato red and one of the most vibrant colors in your pallet. Try wearing a dress with the Grenadine color. They are a wonderful option to showcase Grenadine. But be careful where you’re wearing it. You’ll be dropping jaws and catching eyes in no time. Butter Rum will go great with anything. It’s a fall neutral color you can pull out of your closet and wear with anything. It’s a muted and warm color to wear. Think of a Werther’s Original candy. It’s silky and smooth, just like the color. Try wearing a bag with the Butter Rum color. It makes a great fall bag color. Make your fall shine with Maple. There are many out there who have strong or subtle red undertones in their hair color. It’s time to bring out those highlights and color. Maple is a color that will bring those highlights to life. Try wearing a cozy sweater or a pair of jeans in Maple. You’ll be surprised at how neutral this color really is and how much of your wardrobe matches it. 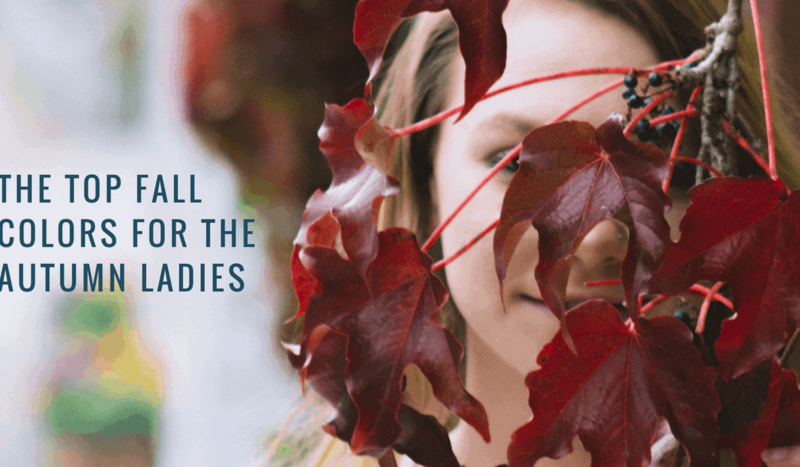 Shine on this season my autumn ladies. Whether you’re shopping for a new wardrobe or you’re looking at your existing wardrobe. Make your clothing decisions a breeze with these beautiful colors that will compliment you.